A first-hand look at a city that people can't seem to stop talking about. It's a guidebook of sorts, but not to restaurants and sightseeing. Instead, Alexander Barrett is your friendly guide to the quirky characters and atmosphere of Portland, Oregon, and how fun, beautiful, and ridiculous it can be. 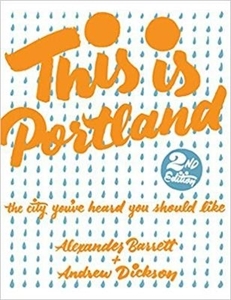 With its approachable, often hilarious tone, this book is perfect for anyone who wants to learn more about bikes, beards, beers, rain, and everything else important about the city you've heard you should like. The expanded second edition of this popular book is sure to delight.